I think you can all tell that it must be half term! I have started and completed The Reader and am well on the way with my next read. But I don't want to get distracted by my current reading matter at this point. I wanted to read The Reader when it was first published in English in 1997, and then I was reminded of it in 2008 when it was released at the cinema. But I don't know about you, sometimes things just pass me by. I have intentions and they remain unrealised. And so we come to the beauty of charity shops. 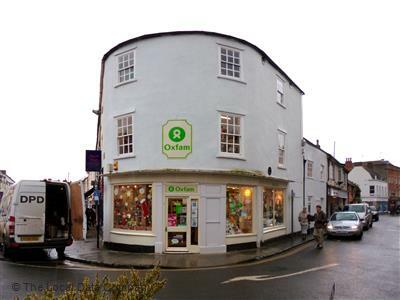 My lovely cousin-in-law introduced me to the concept of the dedicated Oxfam Book Shop many years ago in the town of Wells. (She also introduced me to The Prayer of Owen Meany, but we'll agree to disagree over that one!) We whiled a happy hour or two in the charity shops there and I was hooked. Now I have regular charity shop forays and often emerge with many titles, and so it was with The Reader. Once ownership was gained however, there is often a period of time on the shelves in my house, and for some reason, other reads kept gaining priority. I have no idea why. objection because it is tender. But the love affair is not the whole story. Arguably, it is not the central part of the story. Hanna is illiterate. This is a secret that she never divulges, but Michael works out years later when he is attending her trial. Without spoiling the story, I can tell you that the trial is for Nazi war crimes; it says so on the blurb of the book, so I am not giving away more than the publisher here. Its subject is harrowing but the novel is never sensationalist or sentimental. It is an exploration of what it meant to be a German in 1939-1945. It explores collective guilt, shame and responsibility. It examines the roles of the generation who acceded to or resisted the Nazi regime and furthermore, it examines the ongoing consciences of the generation that followed, a generation seeking to understand the actions of their parents. The central themes then are love, literacy and collective conscience. It is a hauntingly beautiful, sad tale of a protagonist whose rite of passage has far reaching and tragic consequences. The resolution is utterly fitting and it is a novel that stays with you after the final page has been turned. The novel made me think about the far reaching consequences of a war that was not even fought by the protagonist. It made me consider the long term effect of conflict on a national conscience, but it made me consider it from the poignant and tragic perspective of Michael and Hanna. It was personal. A must read if you, like me, let this one drift past. Perhaps a re-read for those of you who were more on the ball in 1997! And in case any of you are wondering what my current read is, it is another charity shop find of an older publication; Towards the End of the Morning by Michael Frayn.